Hi All! Next Tuesday, July 5th, I will be giving a lecture at London's Science Museum in the museum's lecture theatre. The lecture if free and open to the public. Full details follow; If you are free and in the neighborhood, why not stop by? In the 1690s, surgeon Guillaume Desnoues commissioned wax-worker Gaetano Zumbo to create a life-sized wax copy of one of his most important--and sadly deteriorating--human dissections. 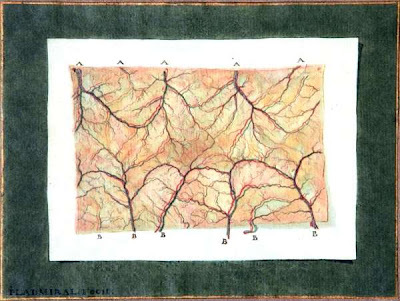 This partnership launched a long tradition of collaboration between artists and medical practitioners in the creation of extraordinary and uncannily lifelike anatomical models intended to preserve important anatomical preparations in perpetuity and to instruct and incite wonder in medical students and laypersons alike. Today, join artist and independent researcher Joanna Ebenstein for a lavishly illustrated walk through the world of these fascinating artifacts that are equal parts art and science and which flicker enticingly on the edges of relic and specimen, mysticism and medicine, life and death. This talk will discuss the histories of these objects and their makers as well as their uses and contexts of display; introduce you to many of the amazing museums that house these artifacts; and consider the ways in which these objects relate to a long tradition of religious, allegorical, and artistic approaches to mortality, supplication, and the quest for bodily immortalization. To download a PDF with more on this and other associated talks, click here. You can find out more about The Science Museum by clicking here. For more information, please contact Selina Pang, Curatorial Coordinator at CuratorialServices@sciencemuseum.org.uk. 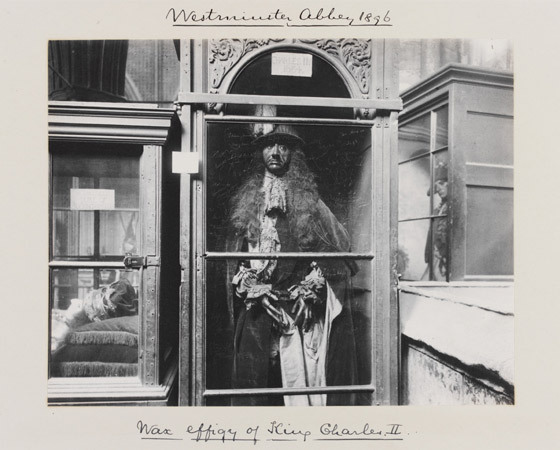 Made soon after Charles's death in February 1685, this life-size effigy stood over the king's grave for 150 years. 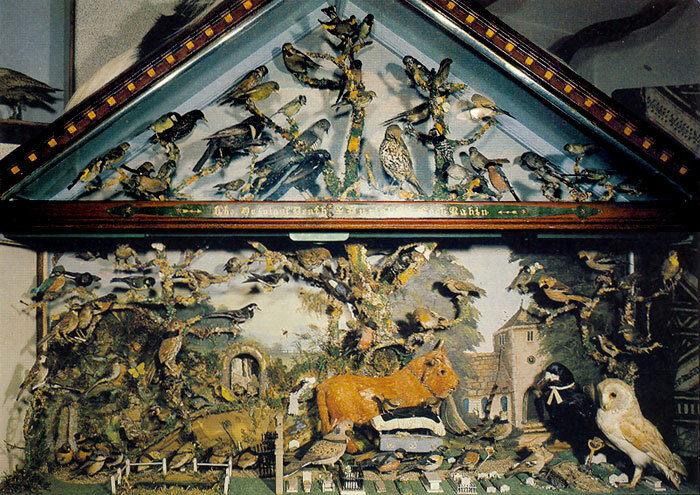 It then moved to the Islip Chapel, where it was photographed by Stone, and is now in the Abbey museum. The figure is dressed in the robes of the Order of the Garter, possibly those of the king himself. Found on the Victoria and Albert Museum website. Click on image for larger, more detailed view. 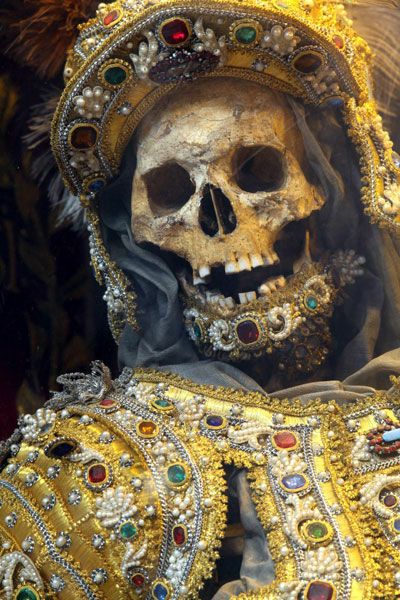 The trend for jewelled skeletons began in the late 16th century. The Roman catacombs, which had been abandoned as burial sites and largely forgotten about, were rediscovered in 1578 by vineyard workers. This coincided with the initial phase of the Counter-Reform­ation; the Council of Trent, called to formulate the Catholic response to the Protestant Reformation, had just concluded, and one of the areas of concern was affirming the efficacy and belief in relics against attacks by their detract ors. 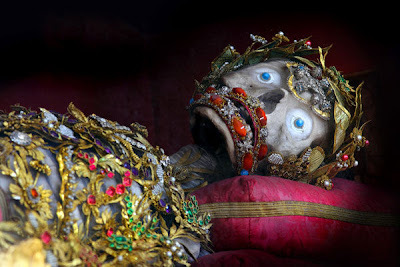 Since the remains in the catacombs dated from the second to fifth centuries AD, it was possible, with a bit of wishful thinking, for Church leaders to romant icise the bones as belonging to almost any famed early Christian saint or martyr. In the newfound cache they saw a potential tool to bolster their supply of relics and promote their power. 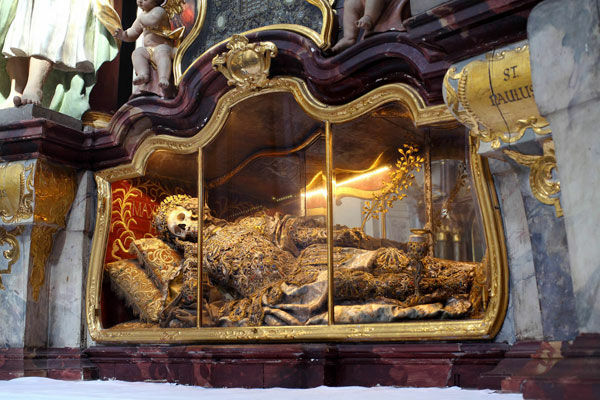 Click here to read this entire article--a nice walk through the art and history of extraordinary European jewel and bone relics--on The Fortean Times website. All images sourced from the article and taken by author Paul Koudounari. 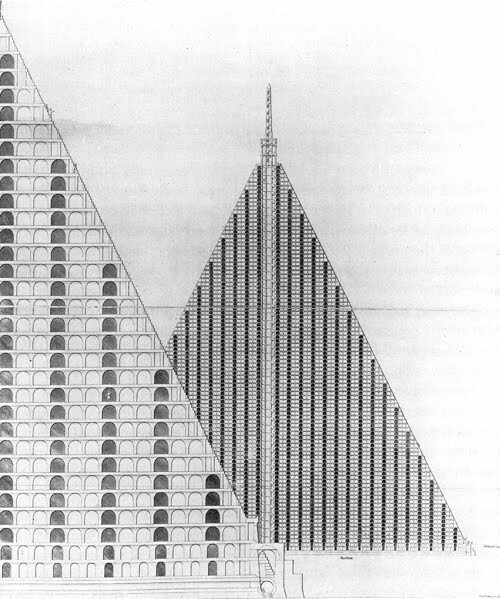 Thanks so much to Suzanne Gerber over at Wurzeltod for alerting me to this wonderful piece! New Lot of Amazing, Lavishly Illustrated, Hard-to-Find Books on Victorian Anthropomorphic Taxidermist Walter Potter for Sale! 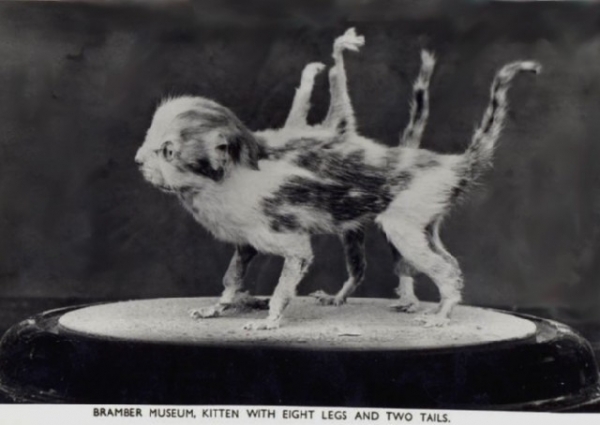 For those of you who, like I, are fascinated by the kitten tea parties, bunny schoolhouses, and kitten croquet matches of the undisputed king of Victorian anthropomorphic taxidermy Walter Potter, I have good news! Henceforth, Morbid Anatomy will be distributing the amazing (and very difficult to find!) 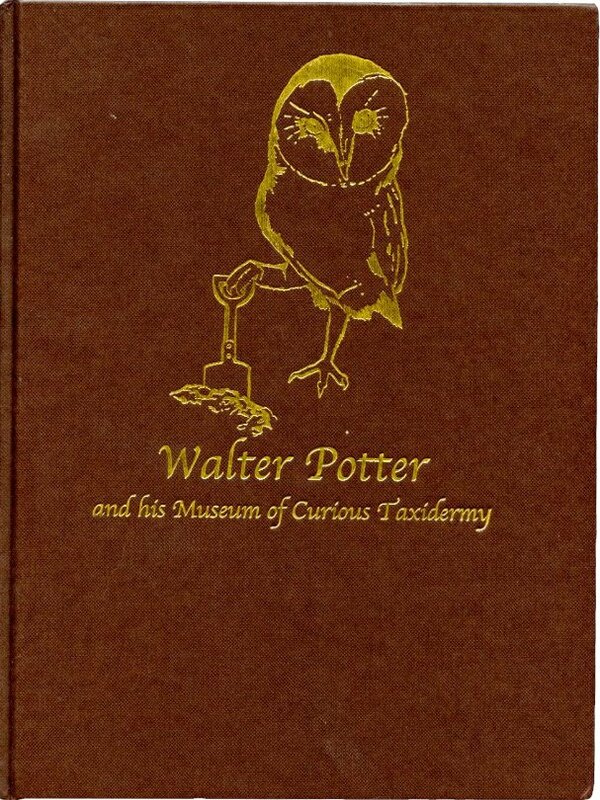 book Walter Potter and his Museum of Taxidermy written and published by collector and taxidermy scholar Pat Morris. There are two versions of the book available: the hardcover (see top image)--which sports a handsome stamped canvas cover and an extra signature of 8 full-color pages--and the paperback (see second image down). 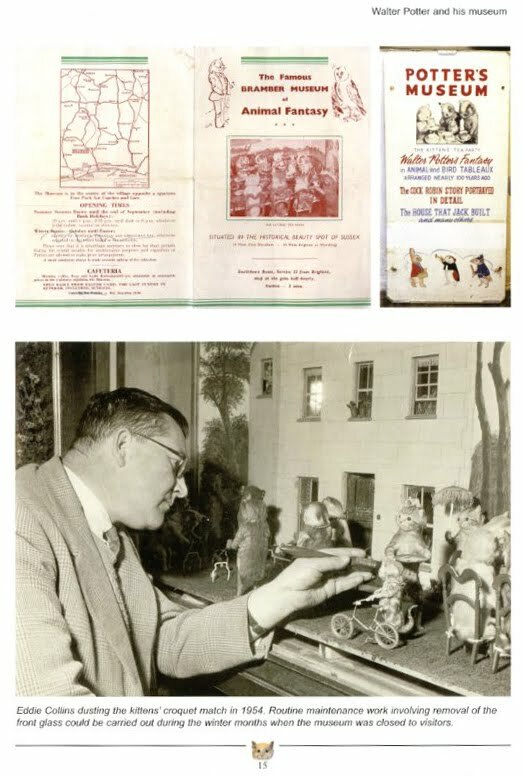 Both versions are large scale and lavishly illustrated in full-color with scores of nearly impossible-to-find photographs of Potter's unforgettable works, archival photographs of the early museum, and antique and vintage ephemera related to the museum (see bottom two images for examples; click on image to see larger size). 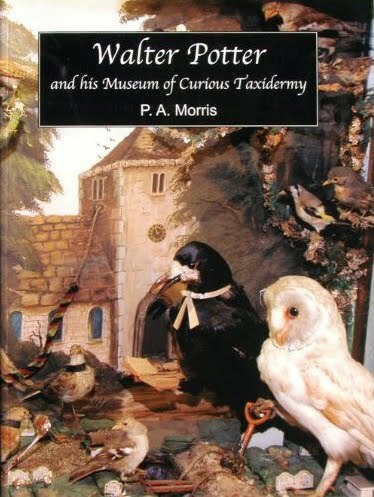 The book is also extremely well researched, providing a through biography or Mr Potter, a detailed history of his museum of curious taxidermy, and the stories behind the making of his iconic pieces of anthropomorphic taxidermy. Books can be purchased on Amazon.com; click here to purchase the hardcover, which goes for $50, and here to purchase the soft cover, which goes for $35. But order quickly: I only have about 8 hardback remaining, and 7 paperback, and these books tend to sell out fast! 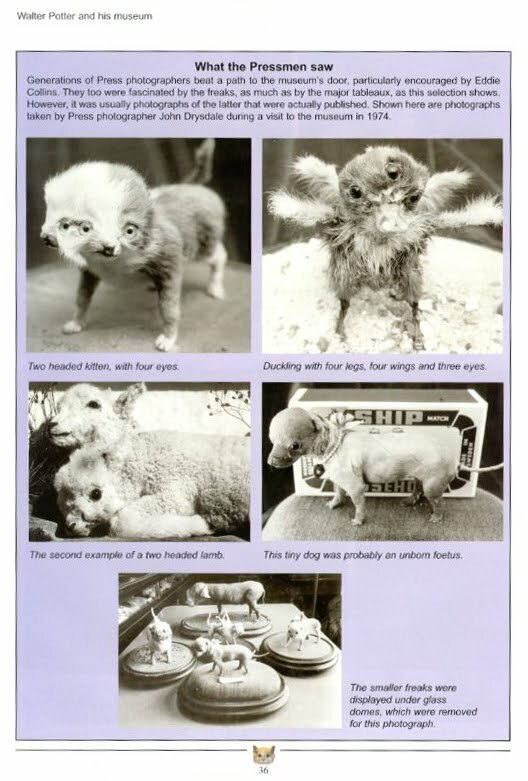 And one more thing: I am also distributing the paperback version of Pat Morris' new book A History of Taxidermy: Art, Science and Bad Taste; you can find out more about this book by clicking here. 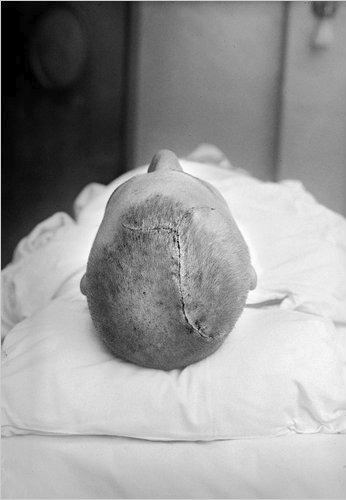 if you are interested in purchasing a copy of this book, you can email me at morbidanatomy [at] gmail.com. Dead Cities! 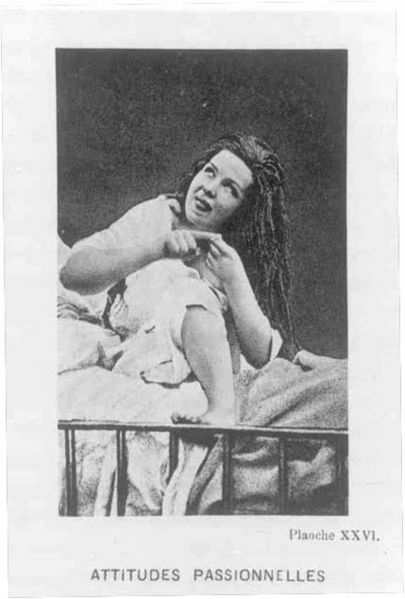 Victorian Hair Scrapbooks! Automata Demonstrations! This Week and Beyond at Observatory! I am very excited to announce a whole slew of Morbid Anatomy Presents events taking place at Observatory, this week and beyond. Tonight, join Colin Dickey--author of Cranioklepty: Grave Robbing and the Search for Genius--as he attempts to "conjoin a history of the necropolis with a history of ghost towns and abandoned urban landscapes." This Thursday, join Collector David Freund for a demonstration and discussion of Victorian scrapbooks holding everything "from inventive collages to seaweed compositions to artistically arranged feathers to advertising fragments to human hair to basically anything else that could be glued down." In July, make mummies at one of our popular mummy workshops, take in some “Theatrum Mundi,” investigate postmodern mermaidia, parse the politics of taxidermy, and/or witness antique automatons go through their motions live and in person! Full list follows; hope very much to see you at one or more of these fantastic events! Tonight, author Colin Dickey will conjoin a history of the necropolis with a history of ghost towns and abandoned urban landscapes. The necropolis has always been a vital feature of the city, from its earliest incarnations to today. The dead body has long been regarded as both sacred and polluting, so what does a community do with thousands of bodies? 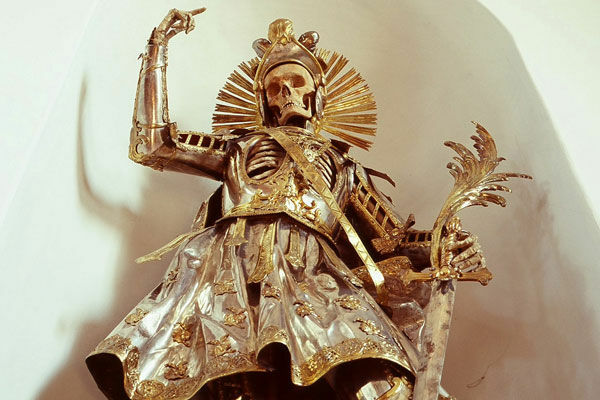 From medieval chapels literally bursting with the bones of the dead to the sanitized splendor of the modern funeral industry, how we treat the dead reveal much about how we view the living. How we treat dead cities--from California ghost towns to Ukraine's Pripyat, just outside of Chernobyl--begs a different question: what do we abandon, and why? What does all this urban ruin say about our future? Colin Dickey will intertwine these two forms of urban death to see what it all adds up to. Colin Dickey is the author of Cranioklepty: Grave Robbing and the Search for Genius, and the co-editor (with Nicole Antebi and Robby Herbst) of Failure! Experiments in Aesthetic and Social Practices. His fiction and nonfiction have appeared in Cabinet, TriQuarterly, and The Santa Monica Review. 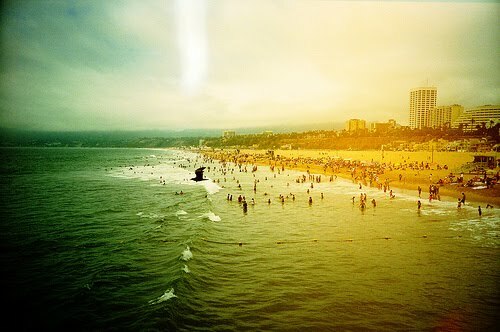 A native of the San Francisco Bay Area, he now lives in Los Angeles. This is a return visit for Colin, who lectured on Cranioklepty earlier this year at Observatory to great acclaim; more on that lecture can be found here. Home-Made Visual Albums were incredibly popular productions between the the mid-nineteenth to the mid-twentieth century; these scrap books contained artful arrangements of a wide range of materials, from inventive collages to seaweed compositions to artistically arranged feathers to advertising fragments to human hair to basically anything else that could be glued down. More than simply collections or scrap books, these albums can also be seen as diaries, and project a sense of their absent makers through imaginative content, arresting design, obsession, and, above all, narrative. Collector and artist David Freund has been collecting--and classifying, into over 40 categories of his own invention-- these enigmatic and fascinating artifacts over the last 30 years. Tonight, join Mr. Freund as be discusses the history and taxonomy of these artifacts and presents a number of exquisite examples from his collection for your delight and perusal. David Freund earned his MFA from the Visual Studies Workshop after a BA in Theater at UC Davis. Professor Emeritus of Photography at Ramapo College of New Jersey, he chaired its Visual Arts for twenty years. He also taught at Pratt and was a Dayton-Hudson Distinguished Visiting Artist at Carleton College. His NEA photographs showed gas station environments nationwide. Other grants included New York’s CAPS program and NYC’s Institute for Art and Urban Resources. During a Light Works residency Freund curated a regional photo post card exhibition, Penny Publishing. Exhibitions include Light Gallery and Eastman House. 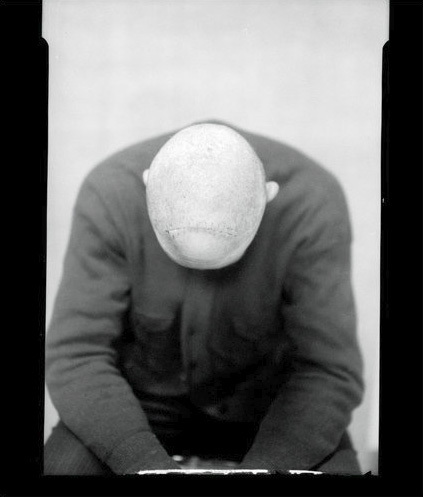 Among collections with his work are MOMA, the Corcoran, MFA Houston, and the Bibliotheque Nationale. 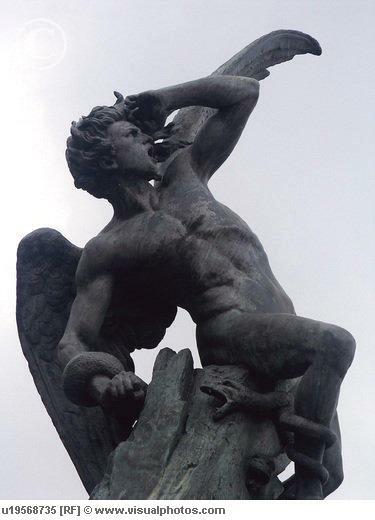 July 18: SCREENING: “Theatrum Mundi” Production of Carl Orff’s “Carmina Burana"
You can find out more about these events on the Observatory website by clicking here. You can get directions to Observatory--which is next door to the Morbid Anatomy Library (more on that here)--by clicking here. You can find out more about Observatory here, join our mailing list by clicking here, and join us on Facebook by clicking here. Today! Hope to see you at this lecture about the historical, curious, and amazing Niagara Falls Museum (est. 1827) from the mouth of its new keeper, Bill Jamieson, surrounded by an assortment of astounding objects from the museum as installed in The Great Coney Island Spectacularium! And a very special thanks is due to my good friend Mike Zohn of Obscura Antiques and Oddities and TV's Oddities for introducing us to Bill and for making both our exhibition--and this lecture--possible! We hope very much to see him there today. In the 19th and early 20th Centuries, popular museums--many of them charging a dime for admission, and thus often referred to as “dime museums”-- were a beloved part of the amusement landscape. In the U.S., these attractions were pioneered by Charles Willson Peale's Philadelphia Museum (est. 1784) and P. T. Barnum's American Museum (est. 1842). 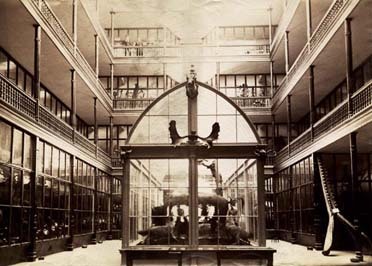 These early museums exhibited a dizzying array of curiosities including live menageries, animal and human freaks, taxidermy, artworks, waxworks, cosmoramas, temperance plays, trained bears, the tree under which Jesus’ disciples sat, Jenny Lind, General Tom Thumb, Chang and Eng, and Barnum’s infamous Feejee Mermaid. The Niagara Falls Museum--Canada's oldest museum--was an important early dime museum founded in 1827 and open to the public until 1999. The collection is unique for being a remarkably intact early dime museum collection, showing the kind of breadth and variety rarely seen in the museums of today. Over the course of its tenure, it was notable for hosting such wonders as the mummy of pharaoh Ramses I (repatriated in 2003), early Wild West Shows starring General Custer’s scout “Wild Bill” Hickock and local Woodland Indians, and a number of artifacts from the Pan American Exposition of 1901 including the shell and coral collection famous naturalist Dr. Louis Agassiz. It was also renowned for its strong natural history collection with a focus on local fauna and freak animals living and dead. Over its lifetime, the museum changed location and hands several times, and many collections were added or discarded. It was ultimately purchased by Bill Jamieson--a private collector in Toronto--with the hopes of one day restoring the museum to its original splendor. This year, Mr. Jamieson loaned an assortment of astounding artifacts--including 19th Century waxworks, the remains of Skipper the two-legged dog, taxidermy, Native American artifacts, and seaweed artwork-- from The Niagara Falls Museum to be exhibited as part of The Great Coney Island Spectacularium; these objects are currently on view as part of this exhibition at The Coney Island Museum through April 2012. This Father's Day afternoon, please join us at The Coney Island Museum for a unique opportunity to learn about about the historical, curious, and amazing Niagara Falls Museum surrounded by an assortment of astounding objects from the collection. Bill Jamieson is a historian, ethnologist, museologist, ancient and tribal art dealer and collector. Bill’s interests evolve around the forgotten cultures and customs of the South Pacific, Indonesian, African, South and North American Indians, and Egyptian. His fascination with artifacts from these cultures, as well as oddities and curiosities from around the globe, especially objects of the Macabre. Bill’s fieldwork amongst the Shuar in Ecuador and Peru has helped him with much knowledge of this tribal group. His expertise has been drawn upon by National Geographic’s documentary production unit for a series Headhunting, Human Sacrifice, and Cannibalism as well as by numerous museums and researchers. He has been a member of the Canadian Chapter of the New York Explorers Club since 1997. Bill is active in loaning and donating to such Toronto institutions as the Royal Ontario Museum and Art Gallery of Ontario. Bill is presently working on a pilot for a series for History Television. Tomorrow night! Hope to see you there! Greetings Art fans! In celebration of Father’s Day, the Observatory Things-That-Move Dept. invites you all to take a peek at procreation! In nature, talents can be predisposed, and passed on from generation to generation. Families like the Gentileschis, the Peales, the Bachs, the Wyethes, and most recently, the Kominsky-Crumbs have all made a strong case for this heredity thing; the Bush presidencies, not so much, but hey, it’s a crap shoot! 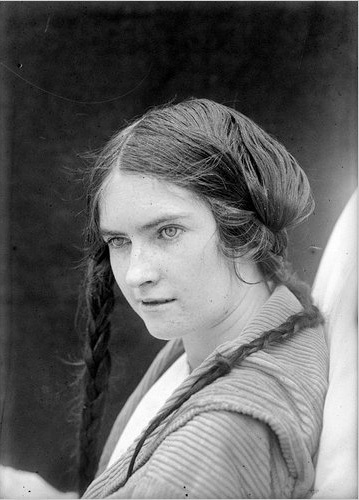 Anyway, our latest show is about a wee dynasty of painters named Corrigan, and through their family oddments, we will examine art, eccentricity, and the vagaries of genetic code. The Corrigan Family Oddments features the work of Dennis Corrigan and his two adult daughters, Sara and Becky. Dennis Corrigan–the family patriarch–rose to prominence in the art world of the late 1960s after returning from his tour of duty in the Philippines during the Vietnam war. He continues to pursue an active studio life involving the production of intricate and creepy yet humorous paintings, and film projects based on puppet characters derived from those paintings. His work resides in museums and galleries around the world, including the Metropolitan Museum or Art and the Brooklyn Museum. Sara, his oldest daughter, is a filmmaker and film-editor who has worked with such luminaries as Woody Allen; her fine art work consists of bizarre images of an imaginary and desperate Marilyn Monroe wannabe. These delightful yet deranged little paintings are created in oil on canvas. Becky, the youngest daughter, works as a singer-songwriter and physical therapist while creating very simple line drawings of ludicrous characters and more complex oil portraits of people on the edge. This promises to be a most enjoyable show revealing the concepts and skills, similarities and differences of a very talented and humorous family of artists. You can find out more about this event on the Observatory website by clicking here. You can get directions to Observatory--which is next door to the Morbid Anatomy Library (more on that here)--by clicking here. You can find out more about Observatory here, join our mailing list by clicking here, and join us on Facebook by clicking here. 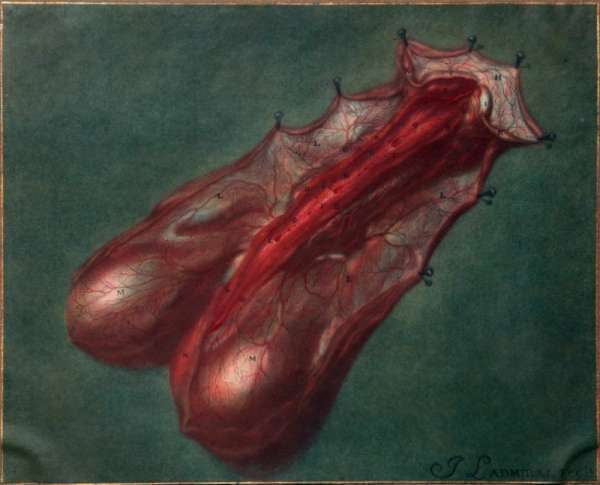 I just discovered the amazing anatomical mezzotints of 18th Century artist Jan Ladmiral (see above) via, of all things, a humorous blog post flaming Congressman Anthony Weiner on a blog called Booktryst. 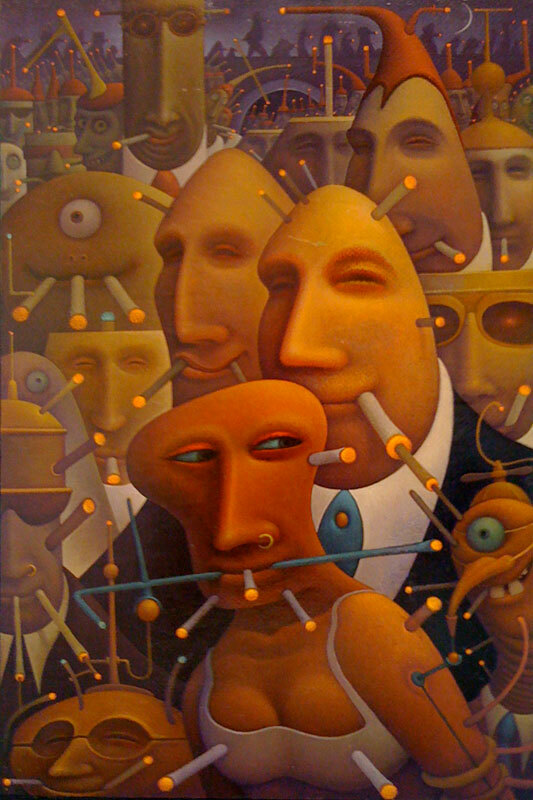 The work is gorgeous, and remind me of another of my favorite anatomical artists, Jacques Fabian Gautier d'Agoty; see this recent post for more on that. 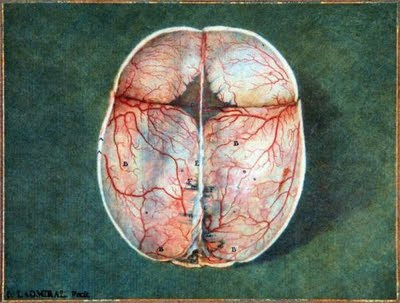 Jan Ladmiral (1698 - 1773) was a pupil and assistant to the great anatomical illustrator Jacob Christoph Le Blon (1670 - 1741). Afterward, Ladmiral, apparently, presumed ownership of Le Blon's secret invention for coloring mezzotint engravings, a process using three different impressions of primary colors (blue, yellow, and red) for one image and thus able to produce different color values without the use of black. 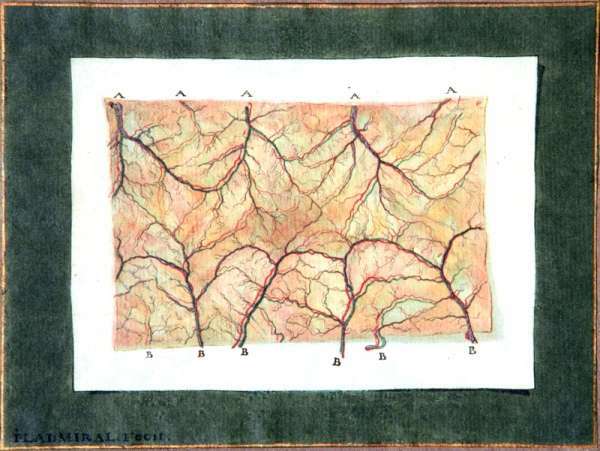 "Ladmiral offered his services in the making of colored anatomical representations to the famous anatomist, Albinus in Leyden. This anatomist put his (Ladmiral's] invention to the test and even permitted him to use two posthumous drawings by Ruysch…" (Choulant and Streeter, History and Bibliography of Anatomic Illustration, p. 267). You can read the entire piece in context by clicking here. Lomography--a company championing low-tech, low-fi film photography--is launching a new nautical-themed analog camera, and have invited me to be an experimental first user! 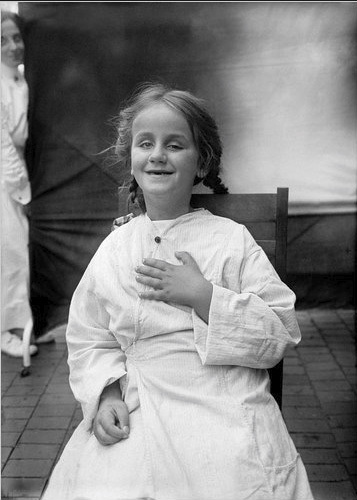 So, look forward to lots of charmingly imperfect images--such as the one you see above, produced on one of their cameras--in the days and weeks to come. Full details for the launch party follow. Hope to see you there! The Lomography Gallery Store NYC Greenwich will be returning like a siren as we celebrate an updated shop and a brand new camera while we unveil the first ever Lomography Fish Market! The tide is coming in and it’s bringing a new product ashore! Join us at our Greenwich Village location on Thursday, June 16th at 7pm for a huge party to celebrate our latest catch and tons of new shop features. We will need all hands on deck as we give our guests the chance to win this new mystery product & “go fishing” for film & other analog goodies. We will have a real-live mermaid in attendance as well as musical entertainment by SUPERCUTE! Not to mention drinks and snacks galore. So prepare the sails and bait your hooks! We’ll see you on Thursday, June 16th at 7pm. More about the event can be found here. You can RSVP on Facebook by clicking here. This Father's Day Sunday: a unique opportunity to learn about about the historical, curious, and amazing Niagara Falls Museum (est. 1827) from the mouth of its new keeper, Bill Jamieson, surrounded by an assortment of astounding objects from the museum as installed in The Great Coney Island Spectacularium! This event is seriously not to be missed! Full details follow; VERY much hope to see you there! 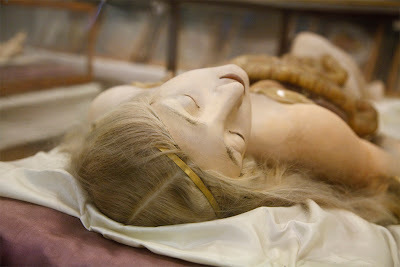 Special Alert: The Morbid Anatomy Library Will Be Closed This Weekend! Sorry to announce that the Morbid Anatomy Library will be closed this weekend, due to a sudden staffing shortage and a much needed spring cleaning. My sincere apologies! And regular hours should resume next Saturday. Proteus Gowanus Interdisciplinary Gallery and Reading Room--my hands down favorite gallery in New York!--is having an excellent sounding benefit party this Saturday evening, and you are invited. Free food and wine and a variety of paradisical and profane amusements await! Oh, and its a good cause, too; Support Proteus Gowanus and you also support Observatory and the Morbid Anatomy Library, who number among its projects in residence! Very much hope to see you there. designed to save your soul or make you forget you ever wanted to. True believers, heathens, skeptics, pagans, atheists and heretics all welcome! including you if the spirit moves you! To find out more about Proteus Gowanus, click here; to find out more about the benefit party, and to purchase tickets, click here. 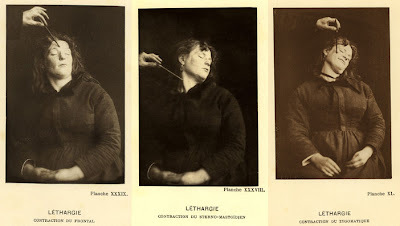 During the decade of the 1870s, three young women found themselves in the hysteria ward of the Salpetriere Hospital in Paris under the direction of the prominent neurologist Jean-Martin Charcot. All three — Blanche, Augustine, and Genevieve — would become medical celebrities. The stories of their lives as patients on the ward are a strange amalgam of science and religion, medicine and the occult, hypnotism, love, and theater. 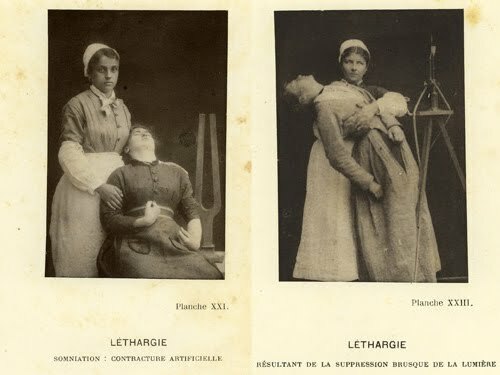 The illness they suffered from was hysteria. This disease was not an arcane preoccupation of the doctors that treated them, but an affliction that would increasingly capture the public imagination. 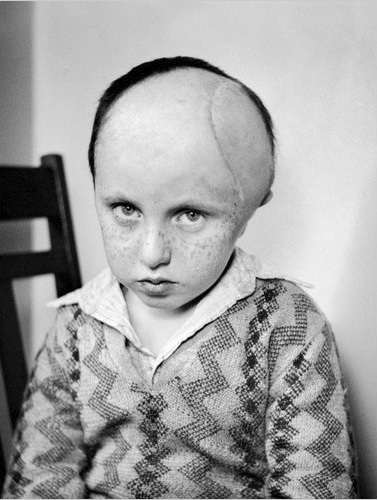 Stories about hysterical patients filled the columns of newspapers. They were transformed into fictional characters by novelists. Hysterics were photographed, sculpted, painted, and drawn. 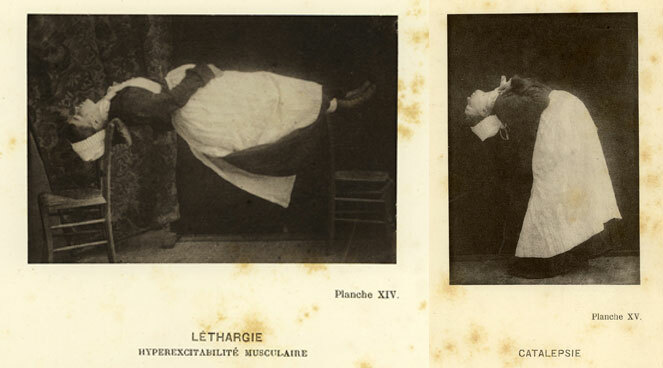 Every week, eager crowds arrived at the hospital to attend Charcot's demonstrations of hysterics acting out their hysterical symptoms. And it wasn't only medical students and physicians who came to view the shows, but artists, writers, actors, socialites, and the merely curious. Hysteria had become a fascinating and fashionable spectacle. But who were these hysterical women? Where did they come from? What role did they play in their own peculiar form of stardom? And what exactly were they suffering from? ... To what degree their disease was socially determined and to what degree it was physically determined is impossible to say. If they showed up at a hospital today, suffering from the same symptoms, they would probably be diagnosed with schizophrenia or conversion disorder or bipolar disorder. 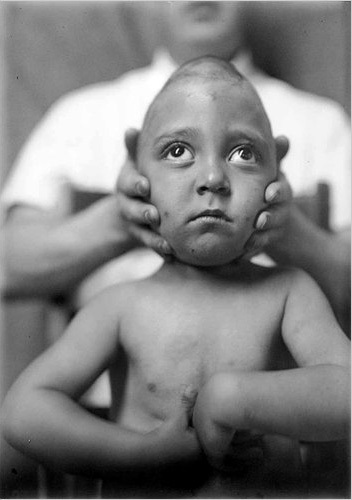 They would undoubtedly be diagnosed with eating disorders because they had bouts of willful starving and vomiting. However, if these women were alive today, they might not have become ill to begin with and no doubt would suffer from other symptoms. 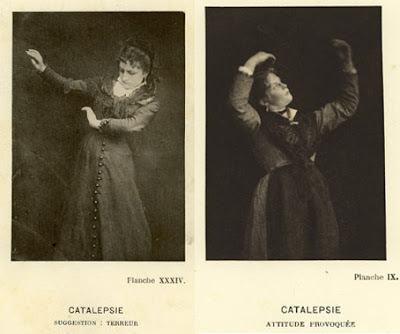 Hysteria may be an illness of the past, but the medical and ideological notions of femininity that lie behind it offer insights into the illnesses of the present and the way they are perceived. 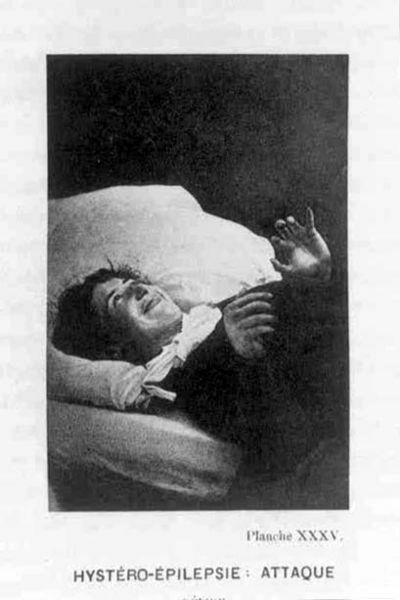 And while modern medicine no longer talks about hysteria, it nonetheless continues to perpetuate the idea that the female body is far more vulnerable than its male counterpart... Why has my study of a disease that is no longer officially a medical diagnosis compelled me to collect information on these new disorders? Why do the lives of three women who lived more than a hundred years ago feel so relevant today and resonate so strongly with the lives of women who are my contemporaries? 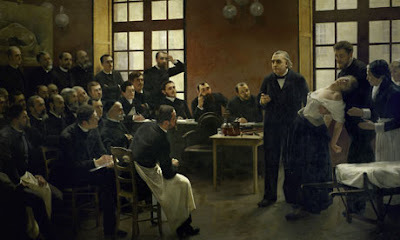 I have long been on the lookout for a scholarly yet accessible book--in English!--that could answer my many questions about the 19th century phenomenon of hysteria as spectacularly manifested at Charcot's Salpêtrière Clinic (depicted in the painting above). 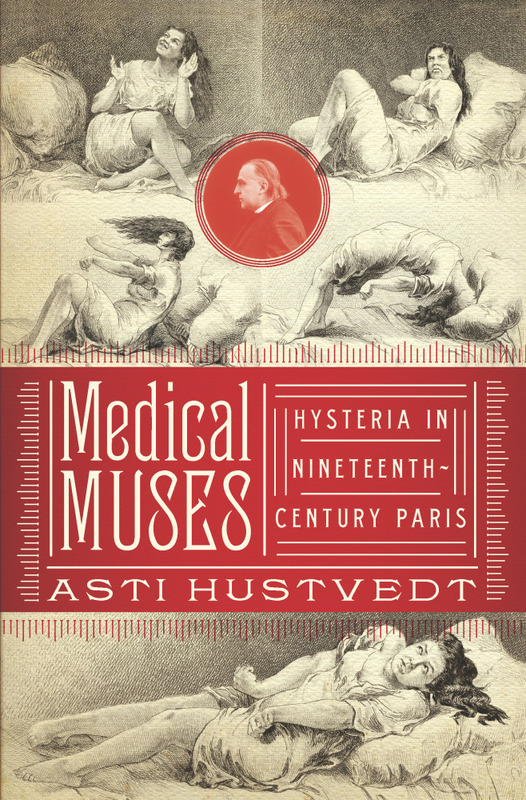 Asti Hustvedt's newly-released Medical Muses: Hysteria in Nineteenth-Century Paris--the cover of which you see above--has proven to be just the book I have been waiting for. Hustvedt--whose memorable essays on hysteria and popular culture you might remember from the Zone Decadent Reader--uses the stories of 3 of the great divas of the Salpêtrière stage as a framework to examine the history of Charcot and his clinic and to adeptly and compellingly tease out the taxonomically-troubling overlaps that make hysteria so fascinating. Her examination of these overlaps--which include science and art, mind and body, the clinic and the carnival, miracles and medicine, theatre and hospital, the mind and the body, the occult and the scientific--beautifully frame the central paradox of hysteria, its simultaneous realness and imaginariness, baffling to this "era without demons and before Freud's unconscious." This book is sensitive, informative, nuanced, insightful, engaging (I read it in a day and a half!) and extremely thought provoking; it is well illustrated with many images from Iconographie Photographique De La Salpêtrière (as seen in photos above) and provides a wonderful discussion of the relationship between these photographs and the understanding of the condition. It also provides a persuasive examination of contemporary maladies carrying on the hysterical tradition in a variety of ways. This book is, to my mind, the long awaited perfect book on hysteria. For those of you with an interest in the topic, I simply cannot recommend this book more passionately! You can find out more--and purchase a copy for yourself!--by clicking here. 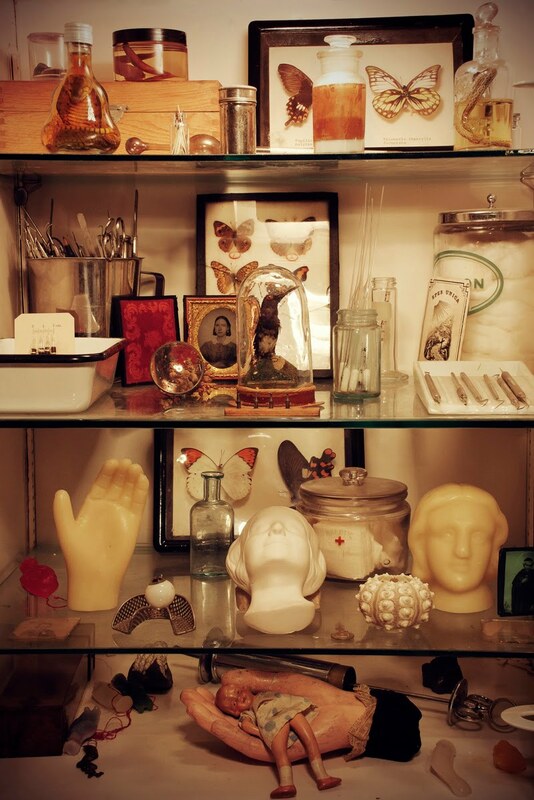 You can also come pay it a visit at The Morbid Anatomy Library; more on that here. You can read an extended excerpt of the book on the NPR website by clicking here and can find out more about the Zone Books Decadent Reader by clicking here. Painting: Une leçon clinique à la Salpêtrière, 1887, André Brouillet's. Photograph: AKG Images/Erich Lessing. Found here. Photographs: From the book Iconographie Photographique De La Salpêtrière (1877-1880), sourced from Wikipedia Commons and The Waring Historical Library online exhibit Dr. John-Martin Charcot and the Theater of Medicine. 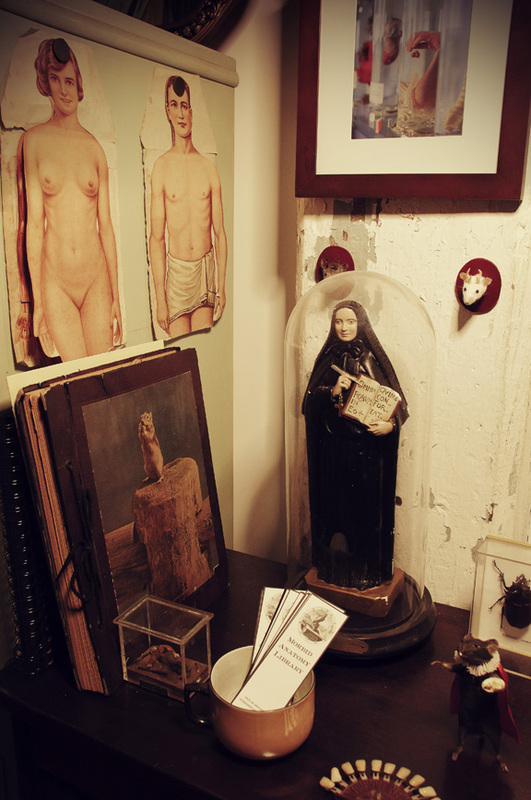 This weekend please join the Morbid Anatomy Library (as seen above) and sister space Observatory as we open our spaces to the public as part of the Atlantic Avenue Artwalk. Following are the full details; Very much hope to see you there! 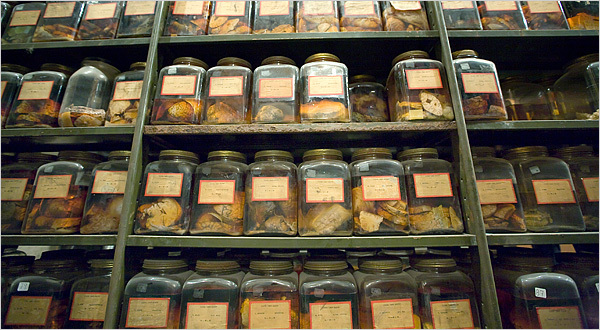 For more about the Morbid Anatomy Library, click here. You can find out more information about the Atlantic Avenue Artwalk, and get a full list of participants, by clicking here. You can find out more about Observatory and the exhibition now on view by clicking here. "No Lib[rar]y is Complete Without the HORRORS! 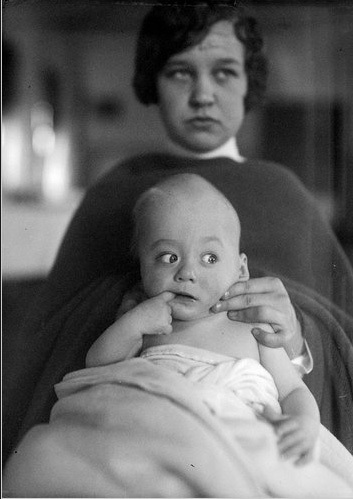 !” or, How the National Library of Medicine got its "Thesaurus of Horror"! Last week, my friend Michael Sappol of the History of Medicine Division of the National Library of Medicine sent me a fascinating clipping relating to a book published in 1817 and entitled, amazingly, Thesaurus of horror; or, The Charnel-House Explored!! (exclamation marks and all! See above title page for verification). I asked him if he would be so kind as to write a guest post for this blog on the subject; he and his colleague, Jim Labosier, kindly and thoroughly obliged! 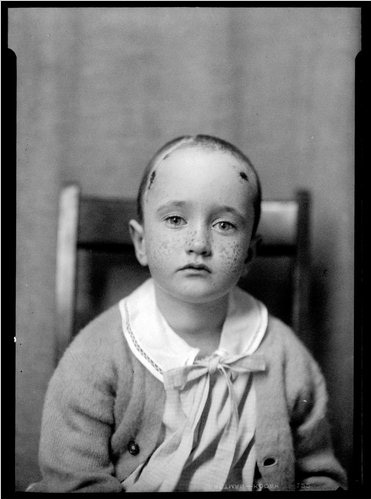 How the National Library of Medicine got its "Thesaurus of Horror!" and accepted the Thesaurus, which still resides in the collection of the National Library of Medicine. …being an historical and philanthropical inquisition made for the Quondam-Blood of its Inhabitants! by a contemplative Descent into the Untimely Grave! 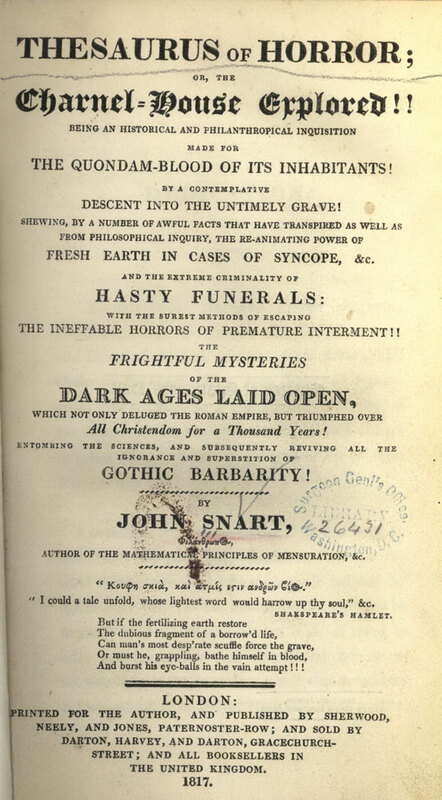 Shewing, by a number of awful facts that have transpired as well as from philosophical inquiry, the re-animating power of Fresh Earth in Cases of Syncope, &c. and the extreme criminality of Hasty Funerals: with the surest methods of escaping the Ineffable Horrors of Premature Interment!! The Frightful Mysteries of the Dark Ages Laid Open, which not deluged the Roman Empire, but Triumphed over All Christendom for a Thousand Years! entombing the sciences, and subsequently reviving all the ignorance and superstition of Gothic Barbarity! Snart (d. 1834? 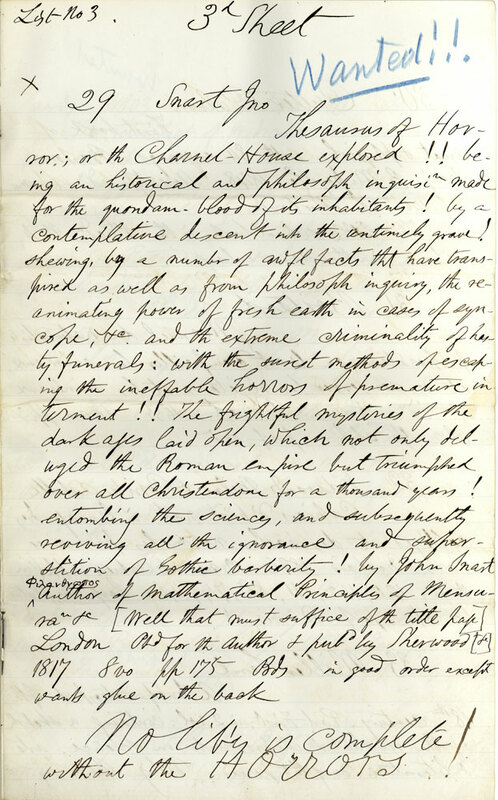 ), a British optician who was strongly anti-Catholic and anti-Jewish, also wrote An Historical Inquiry Concerning Apparent Death and Premature Interment (1824); The Power of Numbers Exemplified by the Laws of Permutation (1819); Table of Four Hundred and Fifty Specific Gravities (1813); Mathematical Synopsis (1816) and several articles on astronomy. You can peruse this book in its entirety on Google Books by clicking here. Also, I highly encourage you to click on the images to view much larger, entirely readable versions! Thanks so much to Jim Labosier & Michael Sappol, History of Medicine Division, National Library of Medicine for this post! Tonight at Observatory: The Fascination of Victorian Bell Jars Explored in Lecture and Show and Tell! A smoking monkey dressed as a Marquis, a Wild West scalping scene created in beeswax, a cemetery scene made from the deceased's hair, and stuffed pug dog puppies, all under glass domes!!!!! The bell jar, or glass parlor dome, is synonymous with our memory of the Victorian Age (1837 - 1901). During the 19th century, these blown glass forms were referred to not as domes but as shades, and graced nearly every parlor, protecting a broad variety of treasures--including miniature tableaux, waxworks, natural history specimens, taxidermy of exotic birds and pets, automatons, and delicate arrangements of hairwork, featherwork, and shellwork--from dust and curious fingers. Tonight, join parlor dome collector, scholar and author of the upcoming book Under Glass, A Victorian Obsession John Whitenight as he shares treasured objects from his more than 30 years of collecting, traces the art and history of the parlor dome in an illustrated lecture, and muses on the peculiar allure of the glass parlor dome, that extraordinarily thin bubble of glass which is at once barrier and invitation, creating an enchanted world which teases the viewer by saying, “ look at me, study me and enjoy me, but do not touch." John Whitenight has collected antiques since he was a young boy. Along with his fever for collecting came a thirst for knowledge and a love affair with all things involving the Victorian era. Currently,his private collection consists of over 175 domes from four inches high to well over three feet high. As voracious for information as for new specimens, he has, over the years, become something of a scholar on domes and the various art forms beneath them. Feeling that this is an area that has been grossly overlooked in the study of 19th century decorative arts, Mr. Whitenight has decided it was time to put these wonderfully whimsical and eccentric Victorian concoctions into the spotlight where they belong; to this end, he is hard at work on a lavishly illustrated book on the topic entitled Under Glass, A Victorian Obsession. You can find out more about this event on the Observatory website by clicking here; you can access this event on Facebook here. You can get directions to Observatory--which is next door to the Morbid Anatomy Library (more on that here)--by clicking here. You can find out more about Observatory here, join our mailing list by clicking here, and join us on Facebook by clicking here. Image: Tonight's lecturer John Whiteknight with a small part of his extensive collection of Victorian glass domes.